Thanks to DEVONtech for sponsoring Macdrifter this week. They make some of the most intelligent software around. For example DEVONagent Pro is the best tool for sifting through the web and find just the perfect results. DEVONagent is a client-side search tool. If you've started to feel like Google or DuckDuckGo search results are full of too many irrelevant results, then you should be looking at DEVONagent Pro right now. This article is about a sponsor's product. This is not ad-copy, it's my opinion about something I think is worth your time. I've owned DEVONagent Pro for at least the past 8 years. It's great. DEVONagent Pro is a web crawler with a sophisticated AI. 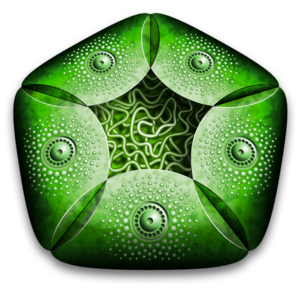 Out of the box, there are several search plugins and searching sets. 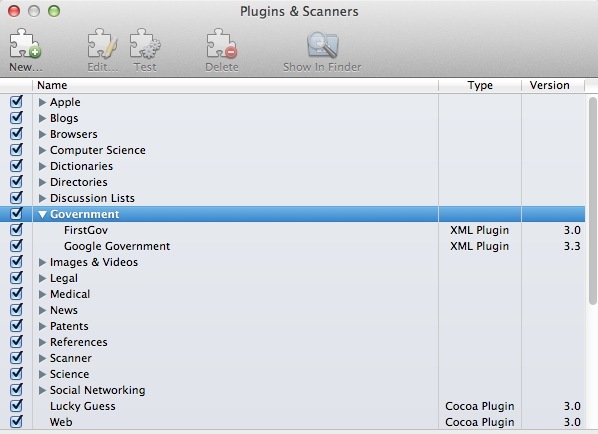 Plugins are either compiled or user configured search engines. DEVONagent Pro comes with dozens of built-in scanners that are customized to searching specific sources very effectively. For example, let's look at the "App Store" plugin. 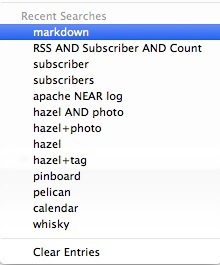 We select the specific plugin in the search box (or prefix a search with App Store:) and enter our search terms. Unlike most search engines, DEVONagent provides some smart tools for analyzing and filtering the result set. 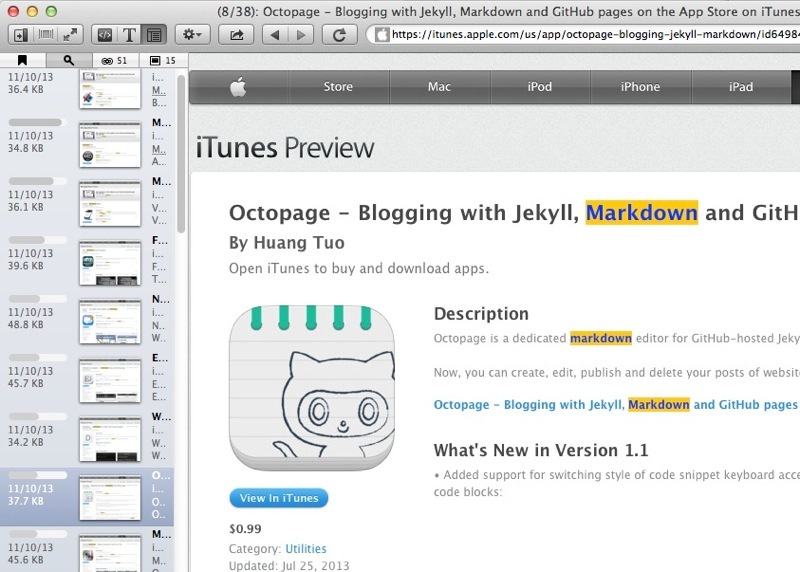 For example, the built in result browser is a fully functional Webkit browser. Thumb through the result pages to see exactly why the result was returned. The browser provides a variety of ways to save your results too. 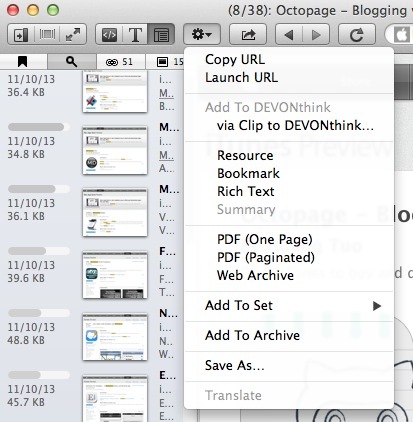 If you are a DEVONthink user, then you also get direct integrations with your databases to take notes and copy rich text versions of the pages. Don't resign yourself to clicking through results only to find out that the links are irrelevant. DEVONagent's filters do a lot of the work for you. It uses the terrific AI to decide what is relevant but it also gives you a variety of tools to refine your results by hand. 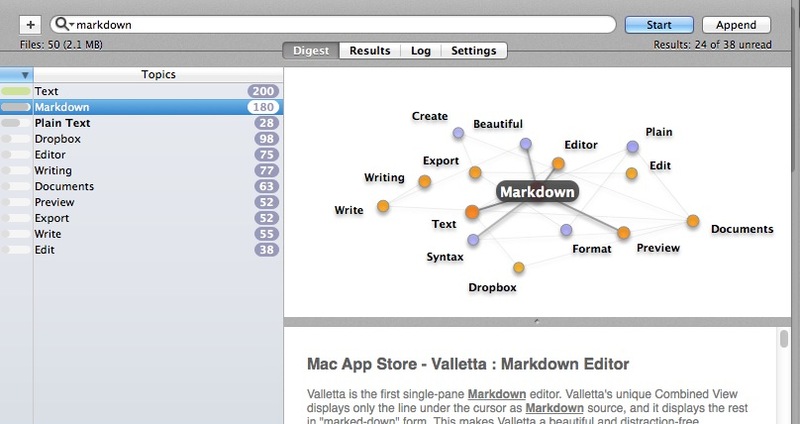 For example the Digest view shows the common words found in the results as well as a relationship between them. If you want to narrow the search set down, there's no need to start over with a full web search again. Just type the extra search terms right into the toolbar search box. The results are immediately narrowed down. Both the initial web search and the result filtering supports the powerful boolean logic DEVONthink users love. Use NEAR between to words to allow some flexibility for how close they must be to match. Or exclude terms with the NOT operator (or use the minus sign in front of the term). It's all supported and really fast. 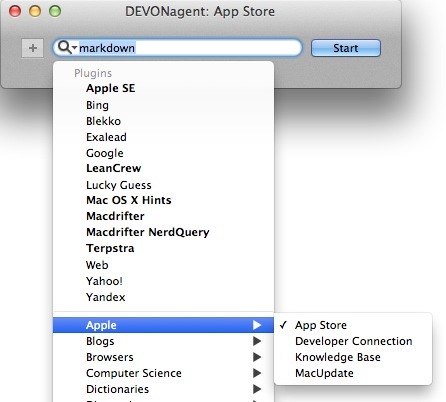 DEVONagent is keeping track of your search terms and the pages you visit in the in-app browser. Web browsing history is isolated from the search term history. I think this makes both better. And if you find a query that you want to do again in the future, just save it as a new search set. 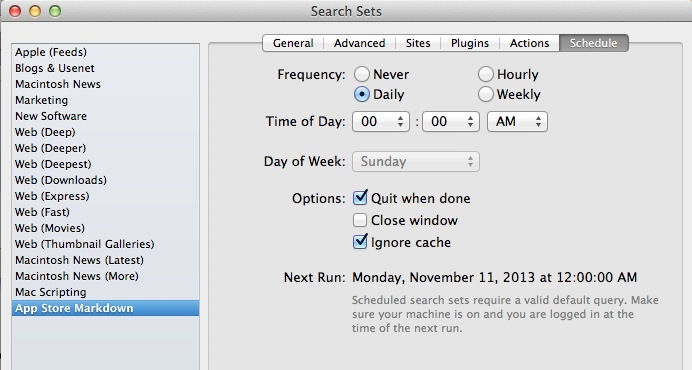 It will be added to the built-in list of searches available. But even better than that, you can schedule a search to run unattended and set a default action to email you only the new results. DEVONagent keeps a running cache of previous results so you can stay up to date without having to waste time looking at results you've already reviewed. 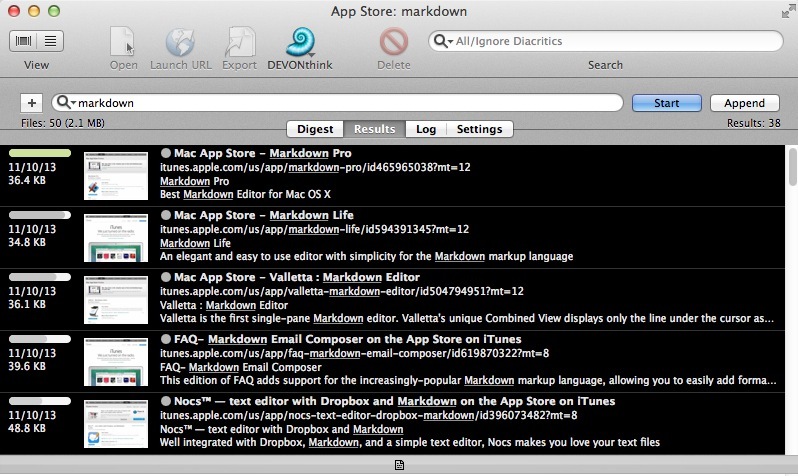 I think DEVONagent is an essential application for anyone that does a lot of web searching. It's a powerful tool that has saved me more time than I care to tabulate. If you ever thought to yourself, "how do these nerds find such awesome stuff", some of them are cheating. They're using DEVONagent. You can download and try DEVONagent Pro for 60 hours to convince yourself.